When I was in junior high, I loved Zena straight-leg jeans. They were long past being trendy by the time I wore them, but they were cute and fit me nicely. They were also more affordable than the popular Calvin Klein's I wanted. My parents knew better than to spend a small fortune on jeans for a 12-year-old who might change her mind about the style the next week. They were super-comfy because they had a bit of stretch in the fabric, and I remember wondering why all jeans weren't made like that. Fast-forward to today. I have five pairs of jeans in my wardrobe - and every single pair has LYCRA® in them. I hadn't thought about it until I teamed up with the brand to show the latest denim looks for back-to-school, but thanks to them, my denim preferences haven't changed since junior high. 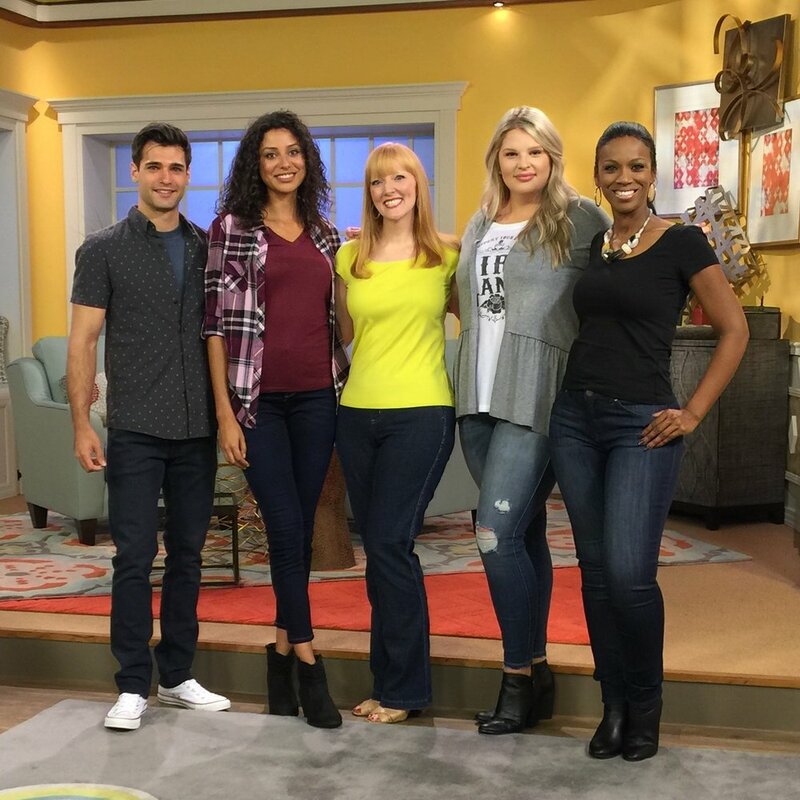 This week, I am showing the latest fall denim looks on several national and regional shows. One size does not fit all, either in the style of jeans or the type of fibers used in their construction. New fiber technologies result in jeans that are super-comfortable, and since these fibers also have great recovery, jeans keep their shape and resist bag and sag - wash after wash, wear after wear. Since most popular brands now use these stretchy fibers in their jeans, there are a lot of options to choose from. Here are some models who can really rock a denim look - and they even let me jump into the picture! Jeans (from l to r): Volcom, Arizona, Soft Surroundings, Torrid and Lee.